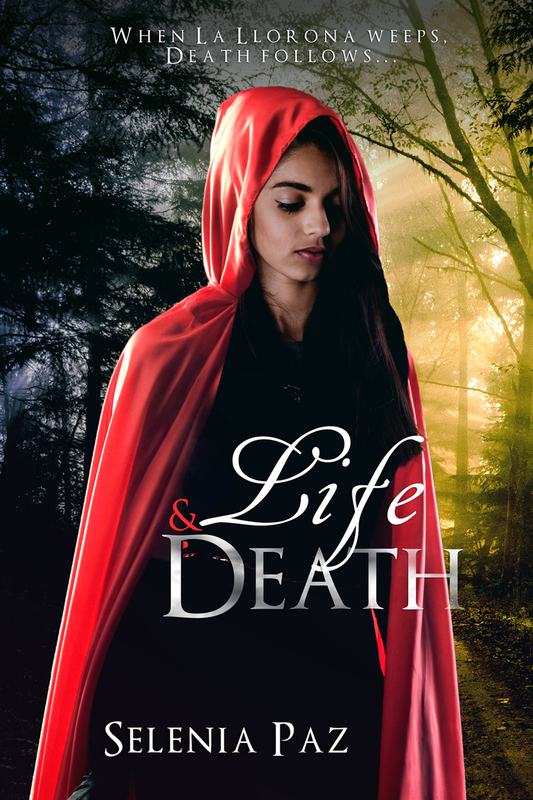 I have a very exciting cover reveal today: I am so delighted to be sharing the cover for my best friend Selenia Paz’s debut novel, Life & Death. Life & Death is an incredible #OwnVoices YA fantasy/paranormal drawing from Mexican folklore, intertwining legendary figures like La Llorona and El Sombreron and mythical creatures like tlahuelpuchi and duendes while, in Selenia’s inimitable fashion, grounding them in a moving story about family and mortality. If you read her story “Lisbeth” in Perchance to Dream, you know what a fantastic writer she is, and the subtle way she is able to weave magic and mystery into her words. I am so excited for her book to release from Snowy Wings Publishing next month, on April 4! When Natalia’s younger brother disappears while on a visit to Mexico, Natalia is certain that La Llorona, the mythical Weeping Woman, has taken him. Her friend Miguel agrees to accompany her back to Mexico in the hopes that it will help him deal with the recent death of his grandfather. But as they embark on a journey to search for the creature that has taken Natalia’s brother, it becomes apparent that the spirits Miguel had brushed aside as mere legend are very real… and they have a dark connection to his family.